Come February 2012, Yash Raj Films is all set to introduce ‘The YRF Daily’ to their fans. 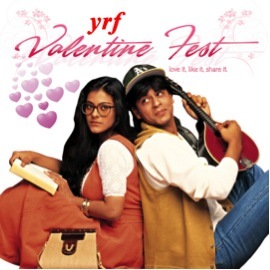 As a part of their ‘Valentine Fest’, YRF has come up with this unique initiative of giving their fans the best love songs from their movies. Yash Raj Films will upload a love song every day on their official Dailymotion channel. Fans will not only get to listen to their favourite songs online, but also dedicate and share it with their loved ones through Facebook. Yash Raj has taken this special initiative to break the customary norm of using Facebook and YouTube as the usual social media platform and give way to newer and alternate ones. So come this Valentine, get set to dedicate the love songs that mean the most to you and tell your loved ones how much they mean to you.